The emergence of the Scottish Independence Party (your report, 11 August) who claim to be the new young guns in the campaign for independence, gives the SNP an interesting choice to make. With the SIP claiming that the SNP have now become comfortable and soft, it would appear that an alliance is unlikely, so the SNP can either support them or oppose them. 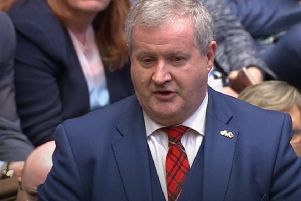 Opposition, given the admirable vision of this new force in Scottish politics, would leave the government open to the wrath of their extreme left, while support would split the independence vote at the forthcoming election. The new party would appear to be a bit strapped for cash at the moment, so at least they have something in common with our government, and are asking prospective candidates to put up their own deposit if they wish to stand. For anyone who is in this position but is having difficulty in raising the £500, may I suggest that they contact the Scottish Labour Party, who I am sure will be more than willing to help.